Opened in July 2016, Pan Kyauk Preschool was born out of tragedy. Since the village lacked a preschool, during the rainy season when roads to neighboring village schools were impassable, and parents had to work in the fields, young children were left in care of older, but still young, siblings. One day a child died in the mud while the sibling was distracted. The village felt a deep, collective sorrow over this event and determined to establish a preschool (ECCD), which they have. 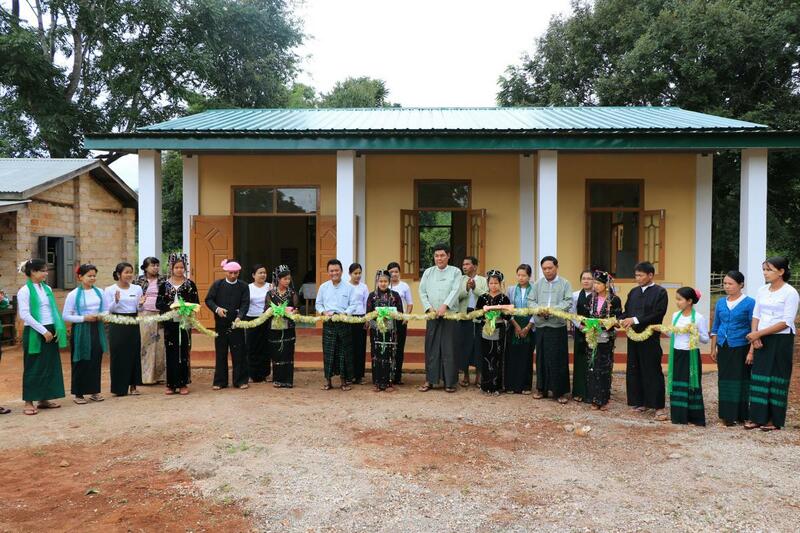 Northern Shan State Union Baptist Association and BSB partnered with the village to realize this school, which serves approximately 40 children. The village contributed both labor and timber (bamboo and hardwood). 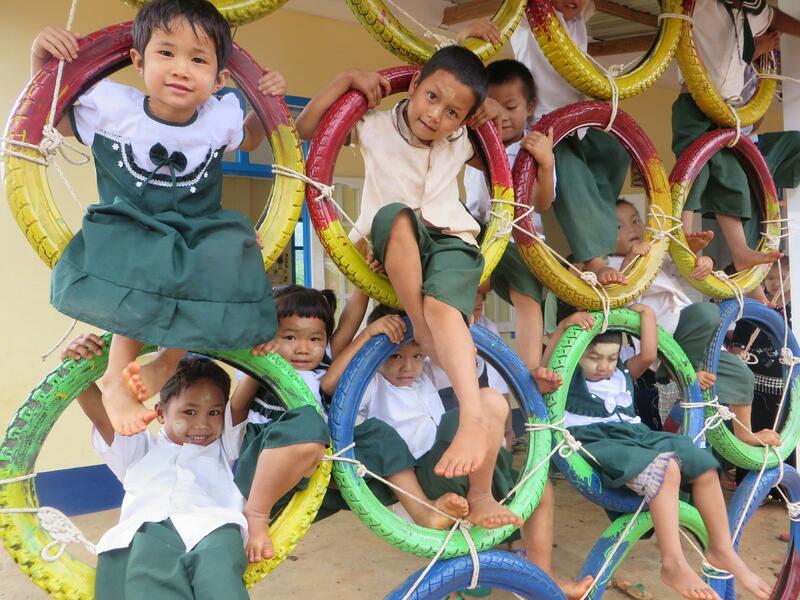 While visiting Pan Kyauk to celebrate the 2016 opening of the preschool, Bob Cornwell noticed a small bamboo hut functioning as a kindergarten for more than 30 students. The villagers, at the direction of the regional education office, had built it quickly. BSB offered to help build a stronger, safer school on a par with the preschool. The village accepted this offer and in partnership with Pan Kyauk Development Committee, construction commenced in the winter of 2016-2017. The school opened in July 2017. Pan Kyauk is located in the mountainous northwestern region of Shan State, 35 miles from Lashio, the largest town in the state. The 39 households comprising 187 people live at the subsistence level through corn planting, upland rice paddies (household consumption only), cutting firewood and laboring on poppy farms. 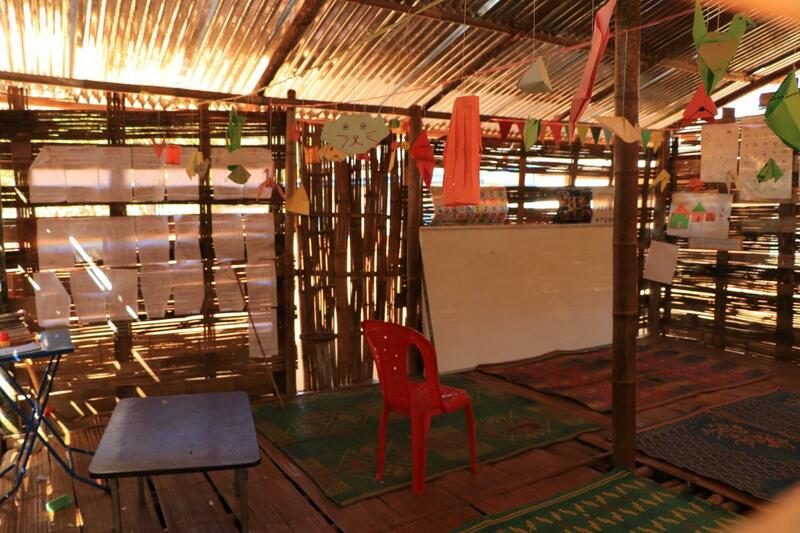 The brick and timber structure and sanitary toilets will give these very poor kids a safe place to learn and develop. This school is dedicated to Mr. Donald W. Leonard. 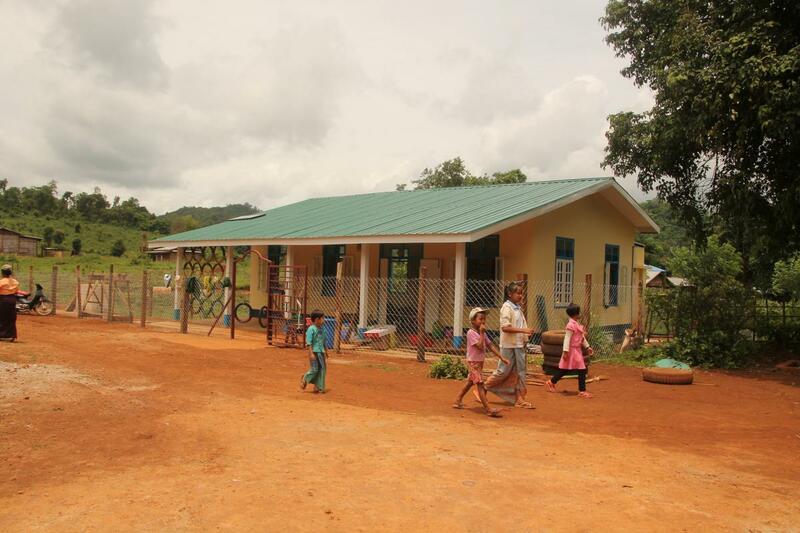 This Palaung village in a hard to reach conflict area northwest of Lashio worked with BSB to build a beautiful preschool and playground for their young children. Pan Kyauk This Palaung village in a hard to reach conflict area northwest of Lashio worked with BSB to build a beautiful preschool and playground for their young children.